I’ve heard it said that some coffee shops are torture for indecisive people who can’t make a decision. The large number of choices and selections become so overwhelming that a thirsty patron falls into a sort of glazed loop of endless possibilities. Meanwhile everyone else in line could have ordered ten drinks in the same time frame. 3D printing is a lot like that except in a good way. The endless materials, printers, and applications are mind-boggling it’s true, but the customization potential is fantastic. For example, the last time I bought a home, I toured dozens of houses before I found something that checked 95% of my wish list. It wasn’t that I didn’t see some great houses, but instead I found something great in nearly every house! The problem was that I wanted all the positives in one house. That’s the biggest benefit of 3D printing for the average consumer. You can have it all! Go to Pinterest and check out creative DIY lampshades. Visit a local Habitat for Humanity ReStore® or Thrift Shop hoping the cosmos have aligned and someone has donated the perfect lampshade. Cave and just get any shade that works fairly well from the big box store. Try to tape the old cracked lampshade back together. Enter the brave new world of 3D printing and endless customization. You call the creative shots and get to choose color, design, size, and material. Like most consumer shopping, you are only limited by your budget. 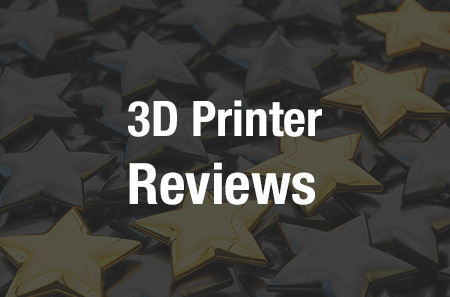 Sure you can get a solid gold paper weight 3D printed, but it’s going to cost you. Here are some 3D printed home decorating ideas we love! These home essentials are abundant in the 3D printing world. Many designs are inspired by nature. Vases can be 3D printed to support tall flowers or surround full sprigs of herbs. Whatever your home decorating need, these vases and untold numbers of new designs are available for you to customize to your liking. If you can dream it, you can 3D print great picture frames for your home in just the right color. Have you been dying to create a perfect gallery wall but the thought of curating all of the matching or ironically mismatching frames is exhausting? Design the ultimate gallery wall on a computer and let all of your house guests observe the magic of 3D printing. Since furniture often requires a larger build platform, you can design the size and shape of furniture accent pieces to match your domestic vibe. Then have it printed and shipped to you. If you have the need and imagination, you can create useful and unique tools for your kitchen and throw some seriously geeky dinner parties. Why follow the herd when you can customize your favorite hobby with 3D printing? If you have a chess lover in your life who is also obsessed with say, fishing? Create a chess board with all types of different fish as the chess pieces and earn the title of ultimate gift giver. How about a word lover? They can have a chess seat with typographical inspiration. These projects and others can be sized to fit any space in the home that needs an eye-catching conversation or art piece. The home décor options are seriously endless and we are excited to see more and more interior designers turning to 3D printing when they can’t find the perfect piece to complete their clients home. 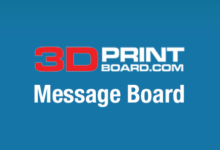 Identify 3D printed art that speaks to you or print your own. If the desired material isn’t affordable, many 3D materials can be painted. This historical copy is made of plastic but painted to look like bronze. Let’s track back to my real estate analogy. 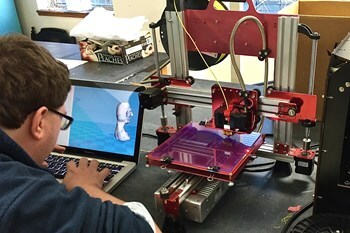 Unlike location being key, 3D printing is all about customization, customization, customization. When you consider 3D printing, the choices are empowering instead of overwhelming. Just think of all of the ways you can personalize your home and create a space that really speaks to your and your style. Have you used 3D Printing in any interior design? We’d love to see and hear what you have done in the 3D printing for interior design forum thread on 3DPB.com. This article was written by Linda Williams of Modernize.com.